Three years ago today, Chris and I were living in different cities in different states. He was out here on Nantucket working at 21 Federal for the summer and I was back home in New York. Children were far from our minds; by this point in the summer, we really just wanted to live in the same zip code again. In October, Chris came home, we moved into a beautiful new house in November, and all of a sudden things just seemed right. Almost instantly our five year plan seemed like much too long of a wait… I guess that’s what five months apart from my husband does to me. Two years ago today, we spent 11 fabulous hours in labor (after two weeks of post-date stress) and at 3:47pm Nora, our beautiful surprise baby girl, was born. The moment I saw her face in the mirror, during the brief minute when she was both breathing on her own (crying) and still part of me, I fell in love with her. In a great cascade of hormones, I went from being someone who was excited about but also very disconnected from the reality of a baby, to someone who can barely breath thinking about another human being. Today is Nora’s birthday. 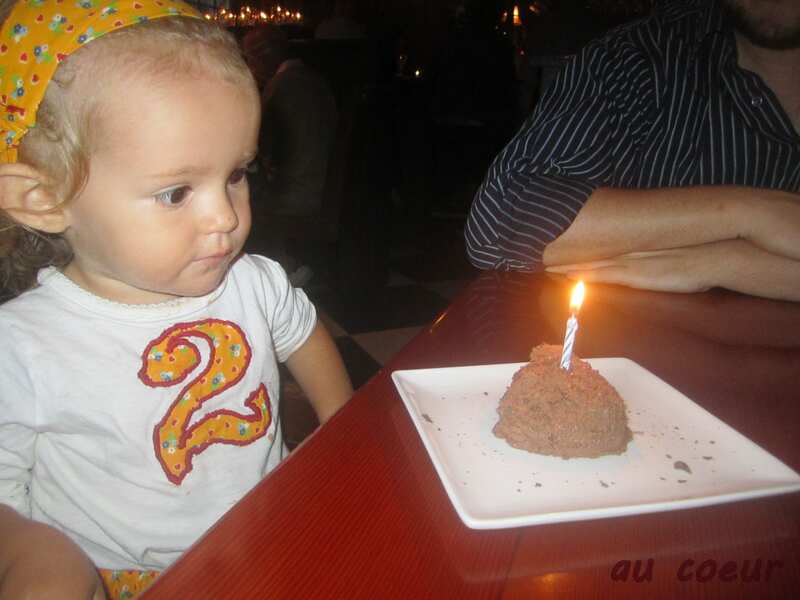 Two years ago today, Nora was born. I can honestly say it was the most amazing day of my life. One year ago today, I was still lost in the magic of being able to stay home with my girl. 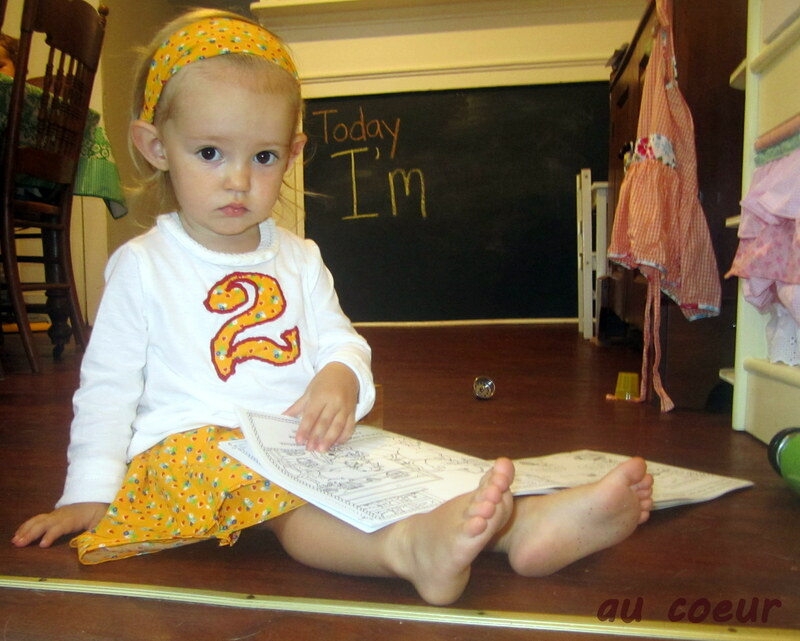 We were winding down from a birthday party the day before, waiting anxiously for the bravery that would bring her first steps, getting ready for our fall stream of visitors, and marveling at her budding toddler personality. 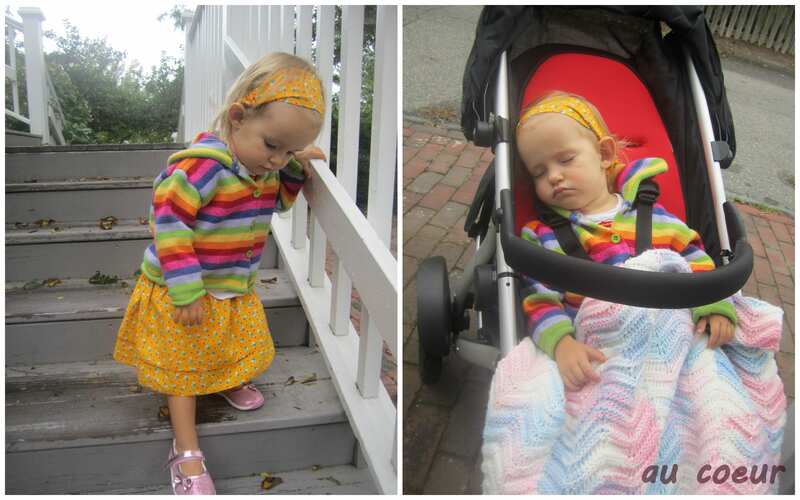 One year ago today, Nora wasn’t walking. She only said a few spoken and signed words. She was mischievous in that not-really-too-much-trouble-at-all way that babies are. Today, Nora is such a big girl. She is clever and funny. She is still incredibly loving and sweet. And, yes, still a little stubborn, and very independent. Lately, she loves to run me through the steps of getting her and a “friend” ready to go out. Nora need shoes on. Nora needs a sweater. Tigger needs socks on first, then shoes. Tiger needs to be buckled in. Tigger needs sunglasses and a blanket. Nora needs a wallet. And when all that’s done, she says,”Bye, bye, Mama. See you later. 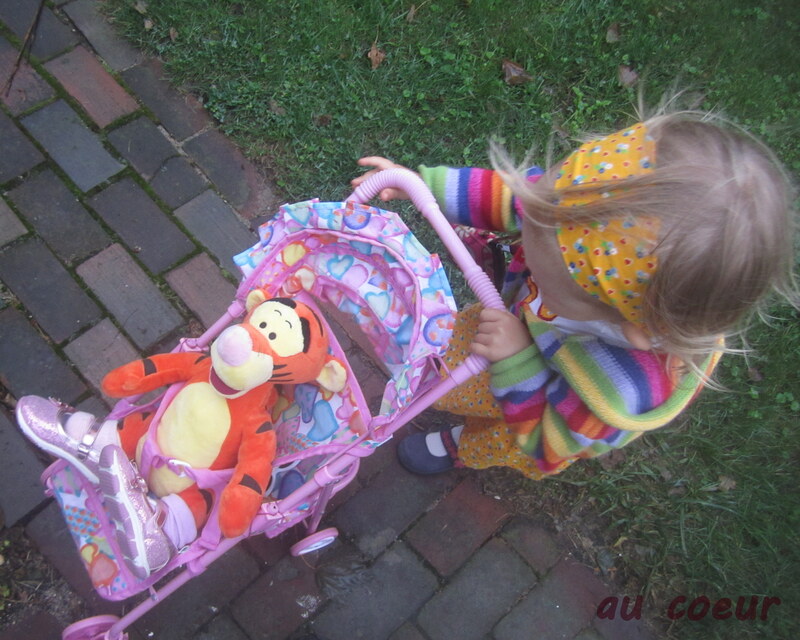 Nora’s going to get ice cream with Tigger.” And off they go. I swear if the gate wasn’t closed she would just walk herself to The Juice Bar. Sometimes I look at Nora and I feel like my heart is going to explode. I keep wondering if there’s going to be a moment what everything stops being so amazing, when I’m no longer awestruck by her development and her very being. 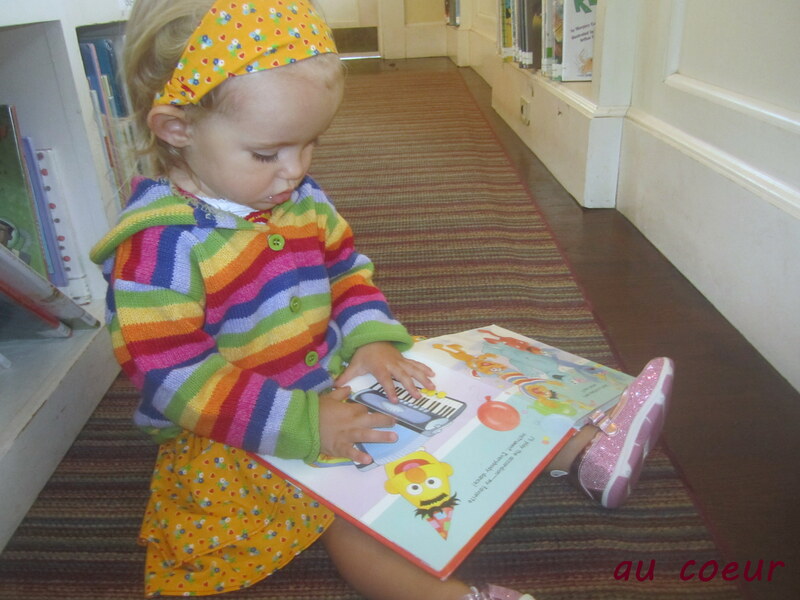 This is what’s magical about being a parent: every little new thing she does excites me. It can be as incredibly mundane as doing the hand motions to The Itsy Bitsy Spider, something every child does at one point or another, and yet I am bursting with pride and excitement, running off to get my camera, and dying to tell anyone and everyone how brilliant she is. Until I had a child I had no idea about the sheer joy that they bring. Nora has opened my eyes to so many things, and I am incredibly grateful for that. I can’t wait to see what this next year will bring to us, how she will change and develop, and who she will be one year from today. Already I see a the beginning of a foodie. I see how caring and compassionate she is towards others; the friendships she’s beginning to make and family connections she’s now understanding. Her memory astounds me. She’s still a veracious “reader” and now has the vocabulary to match. Everyday she surprises me with new phrases and words. She takes time to enjoy little moments and examine each thing along the way. These are things we hope to keep fostering this year: a love for learning and for words, friendships, bravery in new situations, and continued independence at her own pace. Happy birthday sweet girl.